While Tesla started production of the Model 3 in Fremont, California and started deliveries to employees with reservations, the new all-electric vehicle is not expected to make it to other countries until the second half of next year. But still, the first Model 3 has now already been spotted in Europe. Tesla’s European headquarters are located in Amsterdam in the Netherlands. 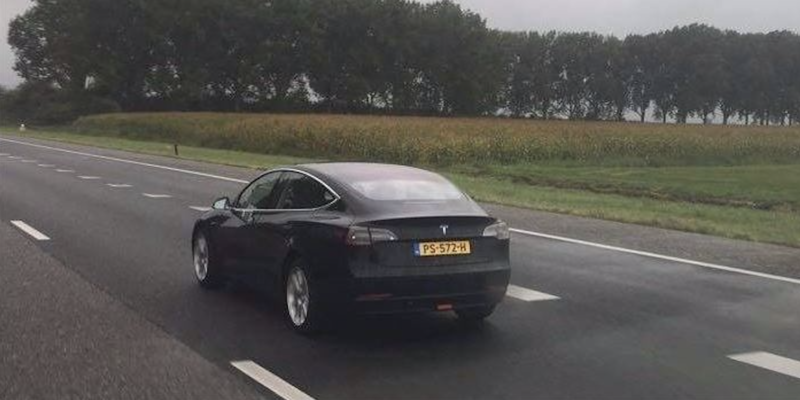 The Netherlands is not only home of Tesla’s European management, but it’s also where they located their first European factory for final assembly. The automaker uses the 78,000 square-meter (840,000 sq-ft) plant in Tilburg to perform final assembly processes and testing for the Model S and Model X vehicles going to certain European markets, including the Netherlands, Belgium, France and Germany. It’s surprising to see a Model 3 on European roads so soon since again, deliveries in Europe are not expected until the second half of 2018, according to Tesla’s own production schedule. It lists a price of 84,203 euro (~$101,000 USD), but it’s not clear what that price represents. I wouldn’t give too much weight to that information since the vehicle is likely owned by Tesla and not for sale in the market yet. 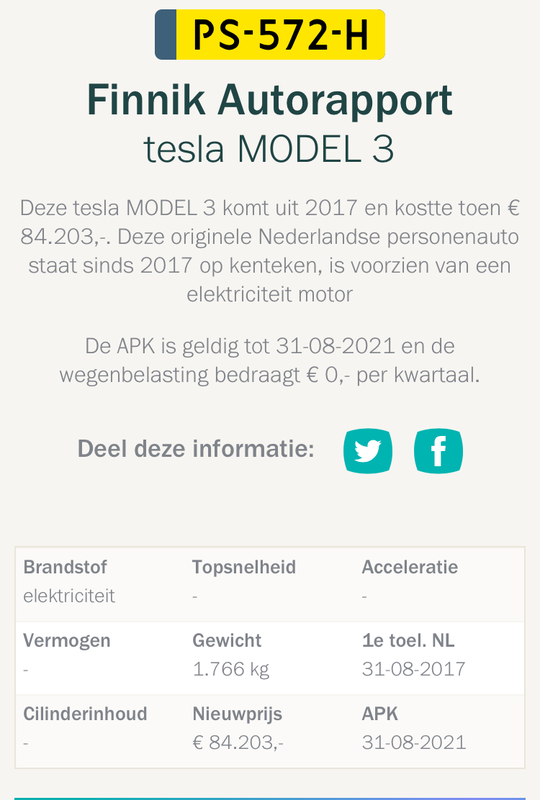 The actual sale price of a Model 3 in Europe is expected to be the same as in the US (base price of $35,000) after accounting for the exchange rate, import duties, and taxes, which need to be listed with the price in Europe. Now why it’s there is up for debate. Maybe it’s for testing or Tesla is already starting the homologation process to sell the vehicle in European countries. Either way, it will get European Model 3 reservation holders excited! What do you think? Let us know in the comment section below.